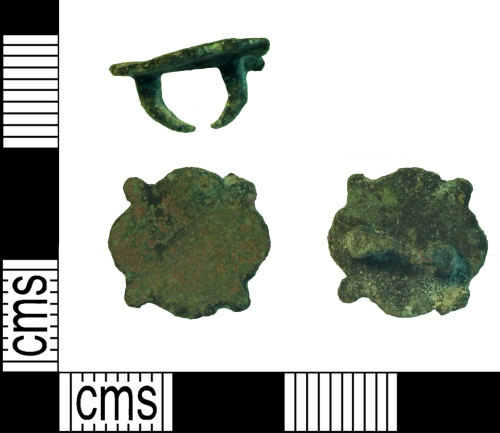 Post medieval (17th century) flat copper alloy mount in the form of a quatrefoil plate. Surface decoration has been lost. The rear of the object has a pair of pointed lugs which curve towards each other. As Read 2016 p39 number 278-279.